This venue is actually two clubs under one roof, which serves as a Country Club and a Top 40 Club. They're known for having some of the best drink specials in town, plus the weekend highlights over hundreds of dollars in cash prizes. Club One15 Is One Of The Midwest's Premiere Ultra Lounges And Light Shows. From Its European Style Decor, To Its Massive LED Walls Throughout The Club, One15 Is Your One Stop For Nightlife In Oklahoma City. Every Weekend Enjoy Different Music Selections From Local To International Acclaimed DJs.We Provide The Safest And Most Luxurious VIP Experience Available With Personalized Table Service, To Our Ultra Exclusive Balcony Area With Various Table Choices. The Club Is Also Equipped With A Separate Smoking Room With Its Own Bar And Booths Available So You Never Have To Leave If You Are A Smoker. We Believe In Bringing Some New And Fresh To You Every Time You Step Into Our Club. Thank You For Reading And We Will See You Dancing With Us Soon At Club One15 OKC. Welcome to Sliders Club Oklahoma City, known for its Country Western Dancing, Two Step, Oklahoma Shuffle, Line Dances, Live Bands and more. Not too small not too large, never overcrowded or empty, Sliders is always the place to be with its multi-generational and well behaved crowd. The Speak has been a staple in the Okc bar scene since 07. We have hosted Oklahomans finest musical acts as well as serving as a favorite watering hole for locals and travelers alike. We offer a beautiful private event space with the most reasonable rates in town. We are an independent, owner/operated business. Starting 2016 we have been under new ownership with the same friendly faces. We offer both smoking and non-smoking sections. 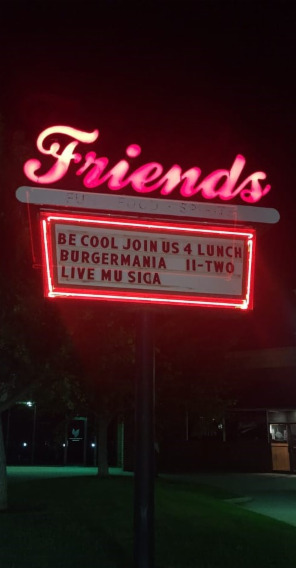 Along with live music, great drinks and no cover charge that Friends has always been known for we now offer lunch 11am - 2pm Monday - Friday and late night food with James Winters Tue. Thurs Fri. and Sat. until 1am! Customers enjoy 2 pool tables 2 shuffleboard tables and the coldest beer in town! 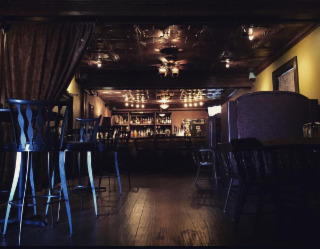 WSKY Lounge is recognized as Oklahoma City’s premier whisky lounge. With over 350 bottles of whisky and almost 500 spirits, we have a robust selection of classic cocktails, beer, and wine. All of our cocktails are classically made the proper way including using fresh squeezed in-house juices, in-house made bitters, syrups, shrubs, and tinctures. Sherlocks' was established in 1979. We feature a total variety of music including Rock, Disco, Country and Top 40. We also feature a full service bar with a professional staff to serve your needs. Sherlock's is open seven days a week from 2:00pm until 2:00am. 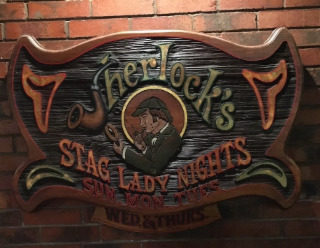 Sherlock's is a great place to celebrate a birthday, anniversary, or a special holiday since we are open 7 days a week.